The prettiest of pinks in amazing purse shaped design will make these plaid patterned handbags a hit at your bridal shower, bachelorette or special girlfriends' party! 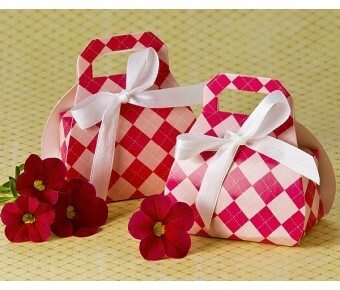 Fill these fashionably fun favor boxes with tiny sweet treats or a special surprise of your own. No detail is spared - from the built in purse handle, fine print pattern in gloss finish, to the white silk ribbon/bow – guests will be amazed at the quality (while you’ll marvel at the value). By Artisano Designs. Favor box approx. measures 2.625" w x 3" h x 1.375" d (6.35 cm x 7.6 cm x 3.5 cm base to handle top and depth) and inside box measures 2.5" x 1.5" (6.35 cm x 3.8 cm) . Ribbon included. Simple assembly required. 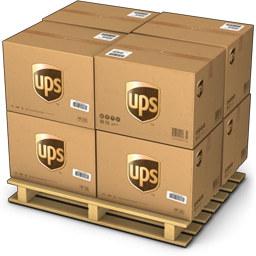 Package of 24.